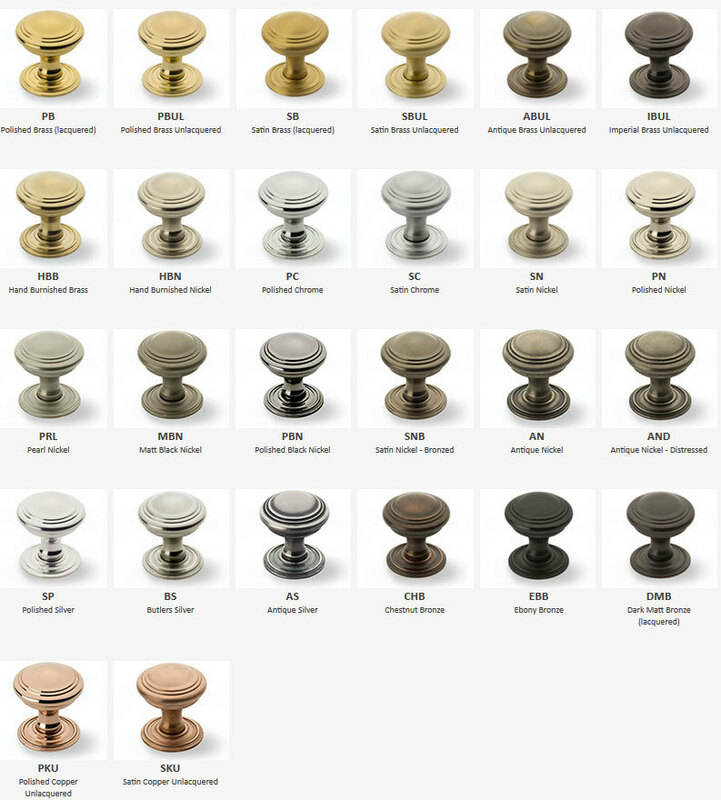 For the complete range of finishes on brass available CLICK HERE. Polished brass, polished chrome and satin chrome are stock finishes. Satin nickel finish is available 3-4 weeks.